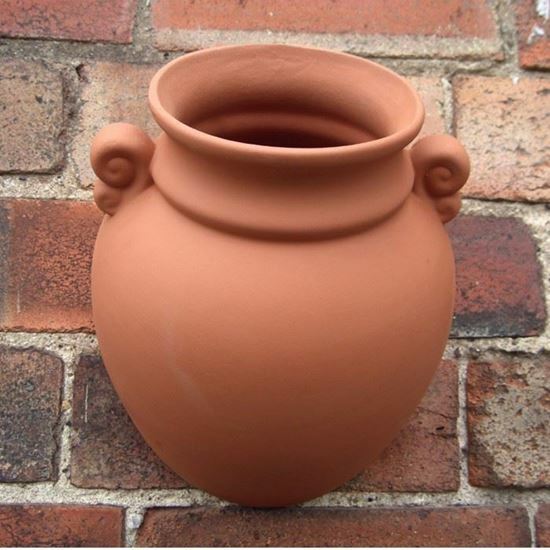 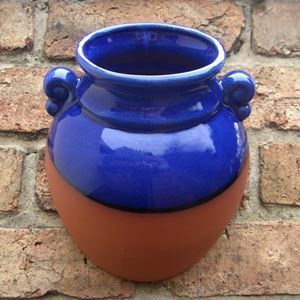 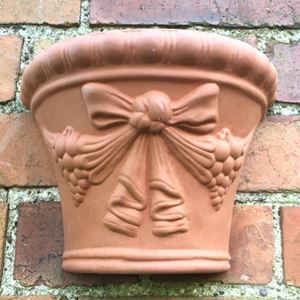 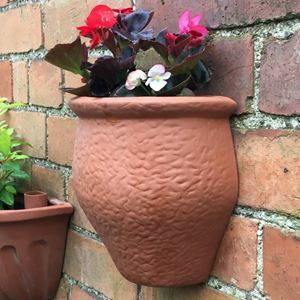 Our terracotta wallpots are purpose built containers ideal for growing plants on your garden walls. 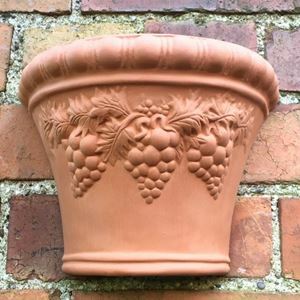 These classical urn terracotta wallpots are practical & decorative whilst bringing a taste of the Mediterranean to your garden. 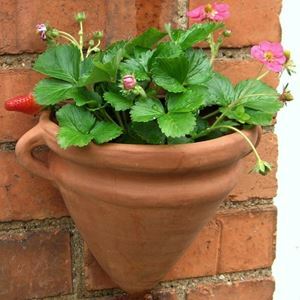 Arranged in groups, wallpots can provide stunning floral displays adding colour & interest to enhance walls around garden & patio areas. 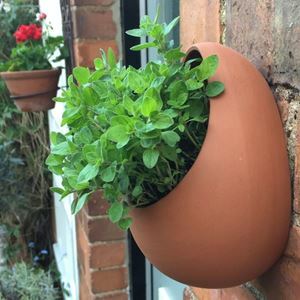 Each wallpot has a flat rear side with a hole for easy fixing with a nail or screw. 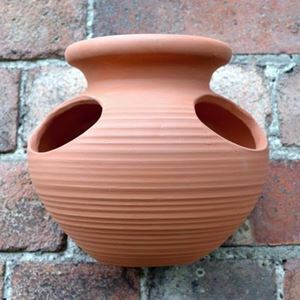 To help prevent water-logging these pots come with a practical drainage hole in their base. 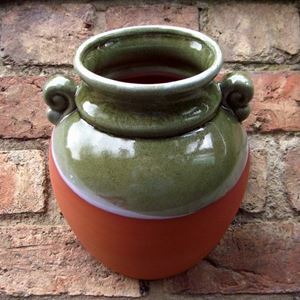 Also available with a green or blue glaze.